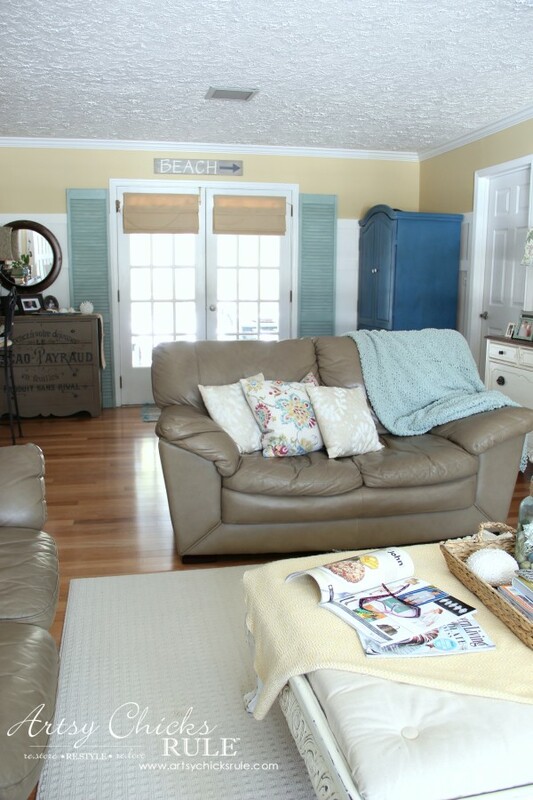 This Family Room has been ten long years in the making. Almost eleven, actually. But that’s okay. 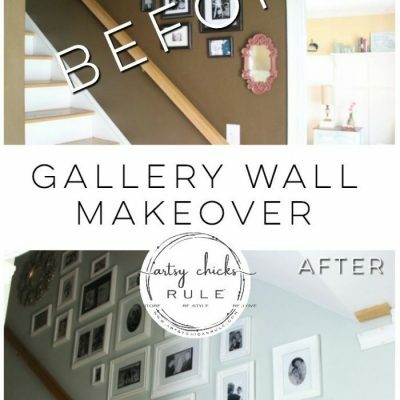 I enjoy change and I’m a thrifty decorator so it’s all good! 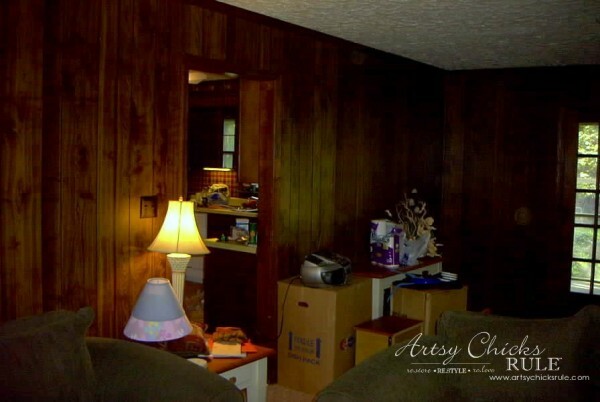 I’ve been telling y’all about this “doozy” of a room for a long time now. Promising to share for many months…and now I finally am. Wait til you see….just wait. Doozy is an understatement as you’ll soon find out. By now you’ve seen plenty of “after” shots. Now it’s time for some “befores”. These are our french doors looking back towards the screened porch. See the very green trim on the door outside? We changed all of that to white. 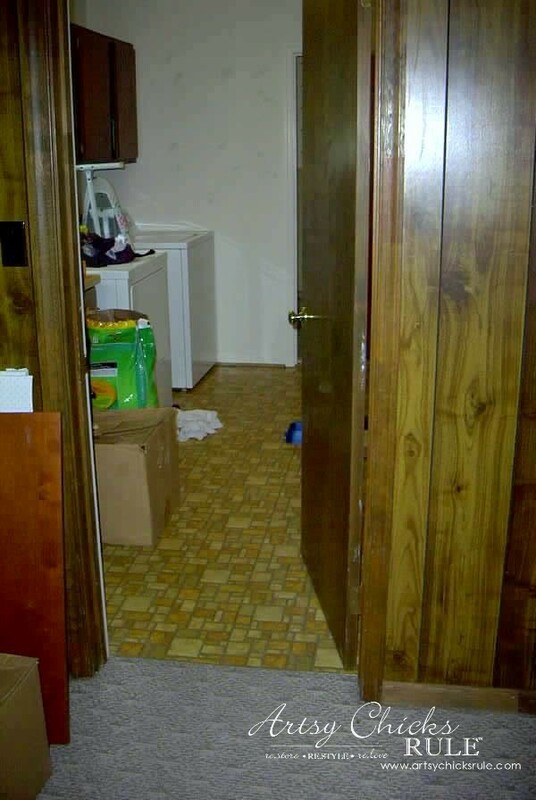 And what’s with that door being pale, oak-y stained with those other walls stained dark? Told ya it was a doozy! We’ve changed all the doors, all the hardware and well, basically everything else! I probably should have prefaced this to say…. 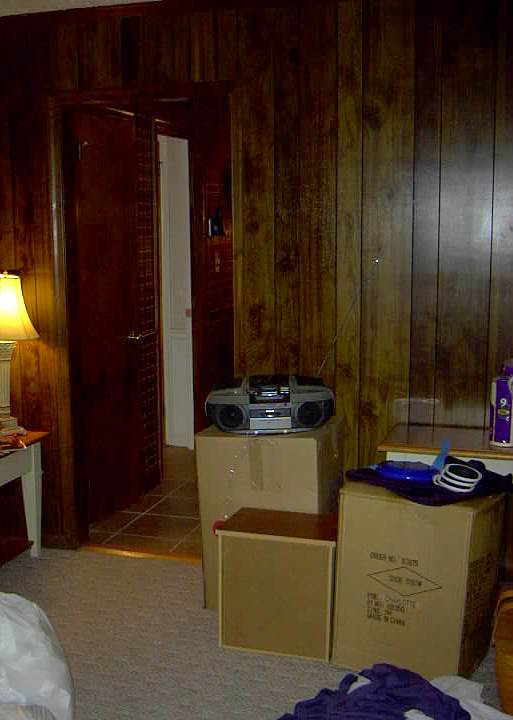 we had just moved in, literally, when I snapped these photos. After, with part of that wall removed. 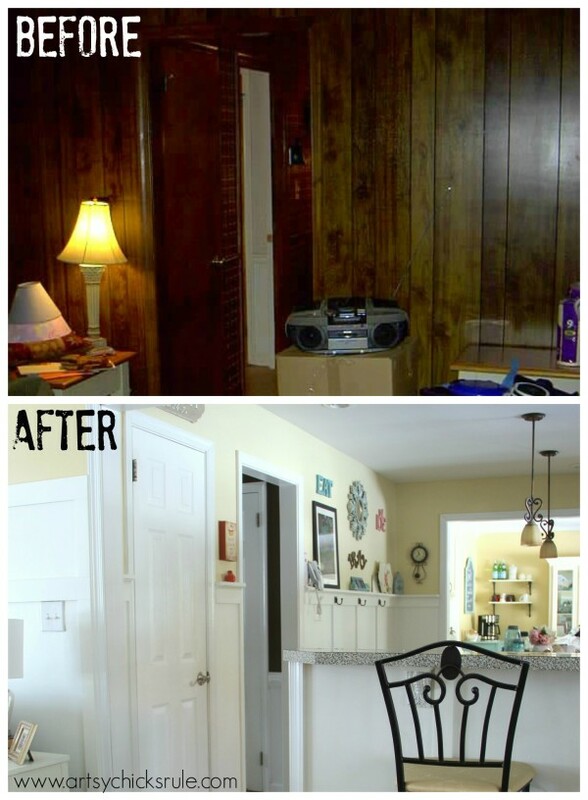 We removed that dark paneling and happily found drywall behind it! Same far back corner now…. Patching the walls, getting them ready for paint. 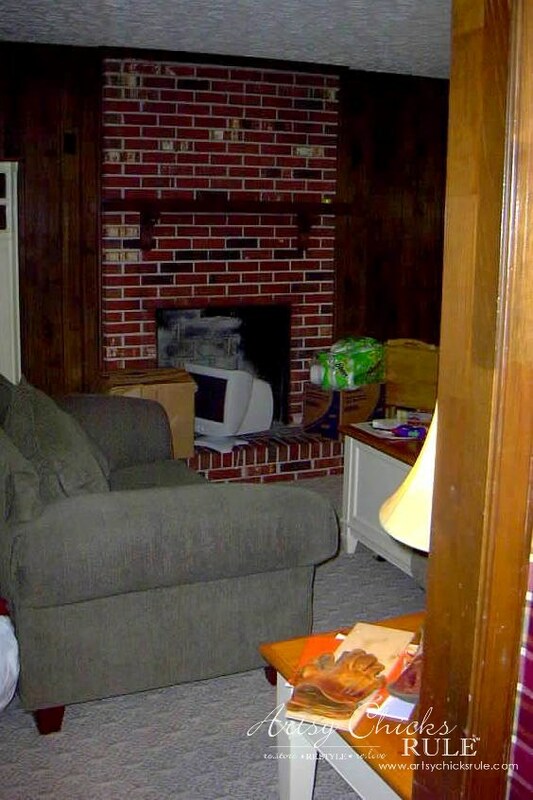 See that cord plugged into the wall up by the fireplace? Those were the odd outlets on each side of the fireplace I’ve mentioned before. My husband wired lights there soon after this. 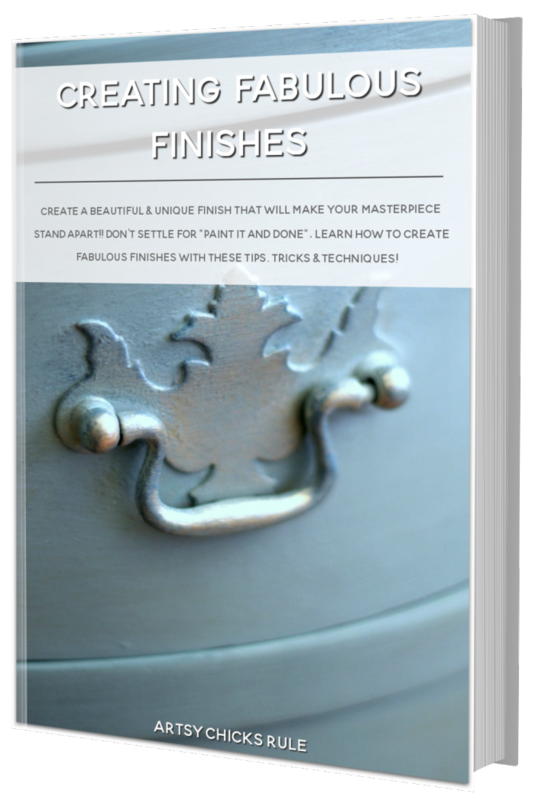 (the ones that started out brushed nickel but I later painted with Oil Rubbed Bronze in this post here –> “Many Uses of Oil Rubbed Bronze“. Isn’t that vinyl floor fabulous? 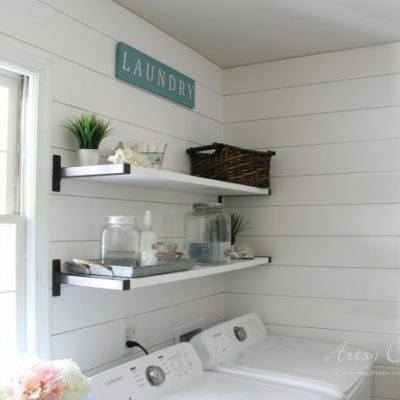 I am in the process of making some (more) changes in the laundry room so I’ll be sharing that room again soon. 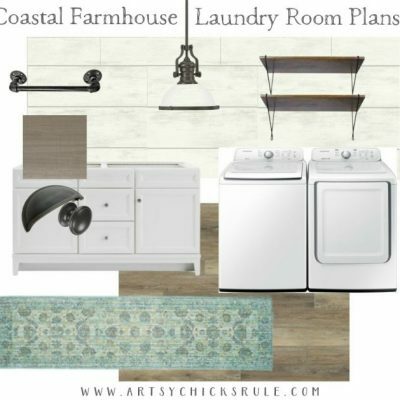 UPDATE: See our brand new laundry room, here, Coastal Farmhouse Laundry Reveal! First change up. 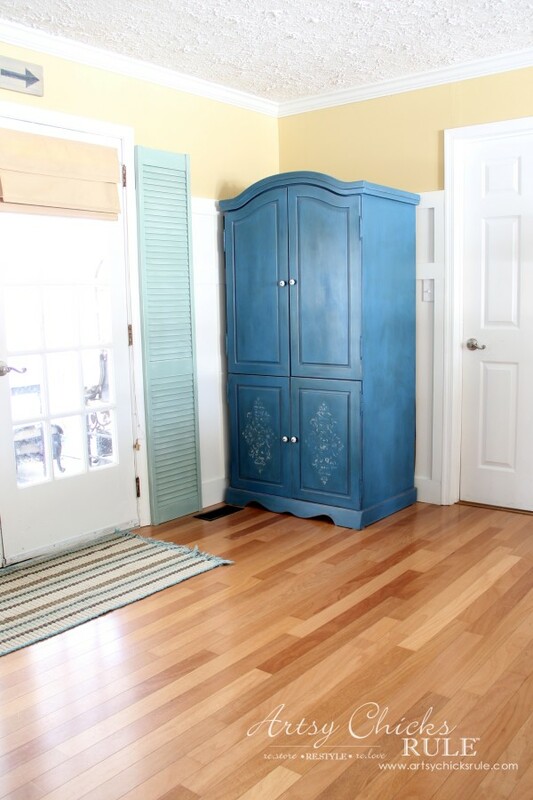 New paint and carpet…. We ripped up that carpet a couple years later and added this hardwood. 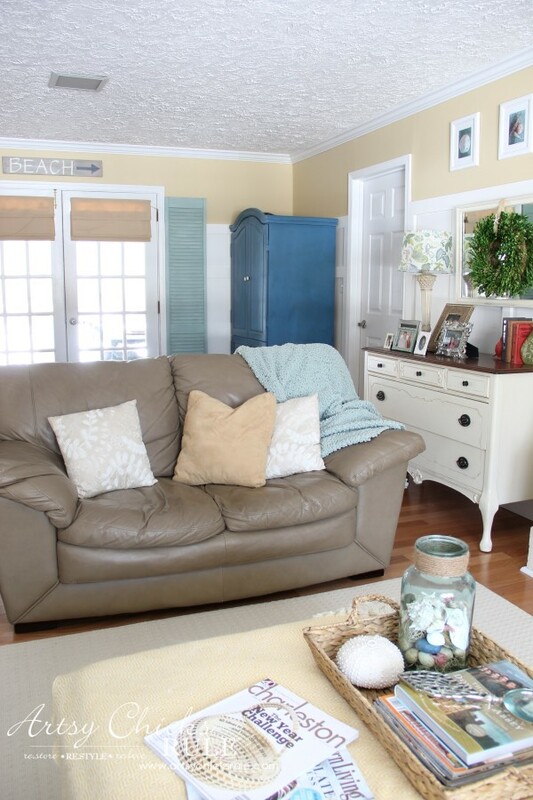 That beach sign was originally in my guest bath…and not pointing towards the beach. I’m happy to report it’s now finally pointing in the direction of the beach in it’s new location. 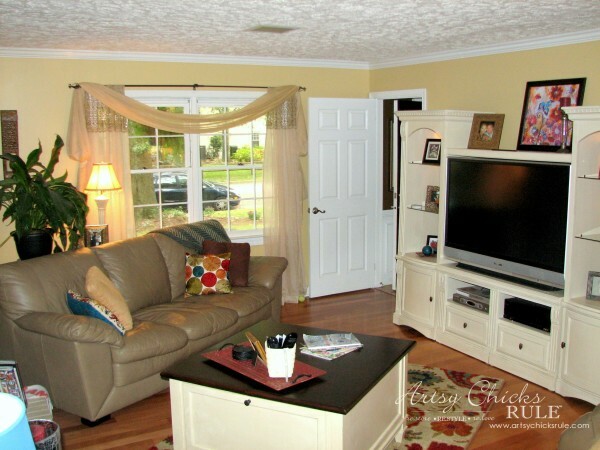 See why we needed to get rid of the large entertainment center? Too big for this room and it always felt cramped. I had a terrible time with furniture placement. So, so, so much better now that we’ve mounted the TV over the fireplace. 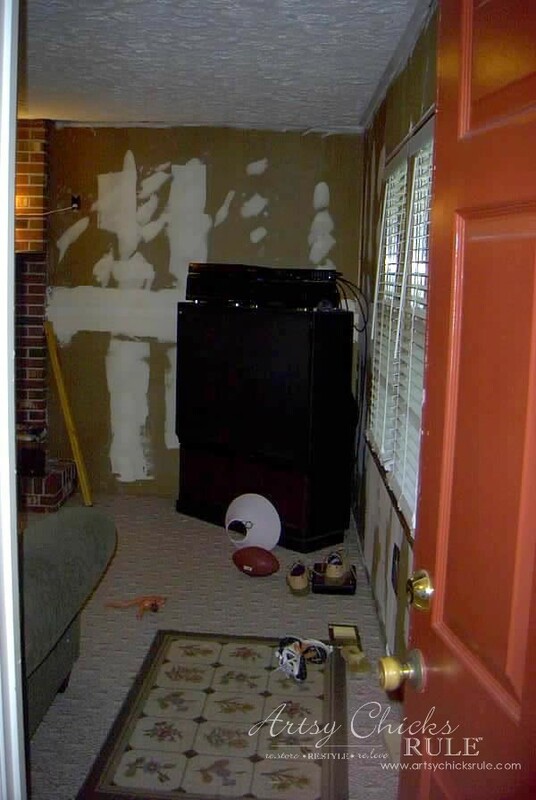 There’s one of the light fixtures beside the fireplace…that used to be an outlet. Much better with a light than an outlet! My pretty antique dresser and mirror that came to me painted metallic blue. So….I can very happily say the Family Room is no longer “the cave”. It’s a place that we very much enjoy spending time in. And since we’ve added the faux board and batten, it’s even brighter than before. 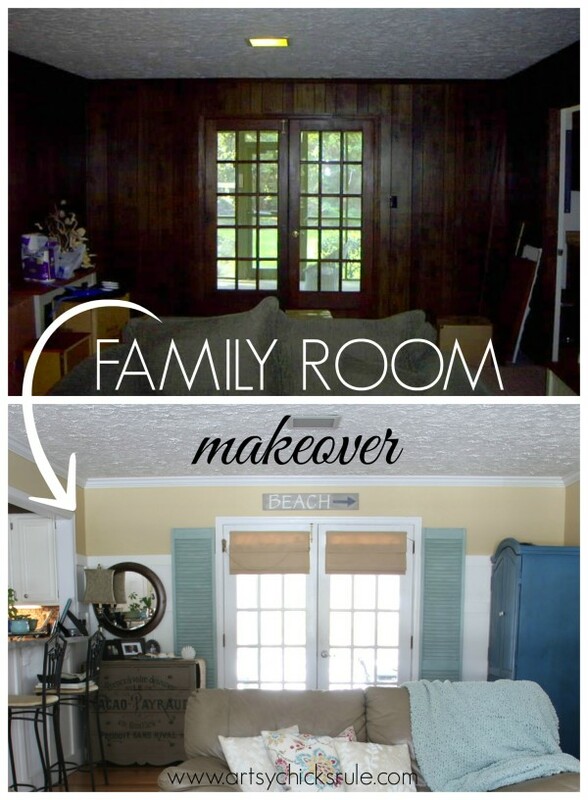 See you later this week with the “how to” on the board and batten we did in this room! You guys rocked it!! 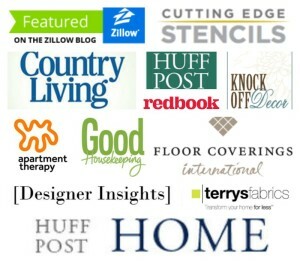 The board and batten, all the pretty colors, the flooring. Thank you Shannon! :) We are so happy it’s no longer “the cave”! 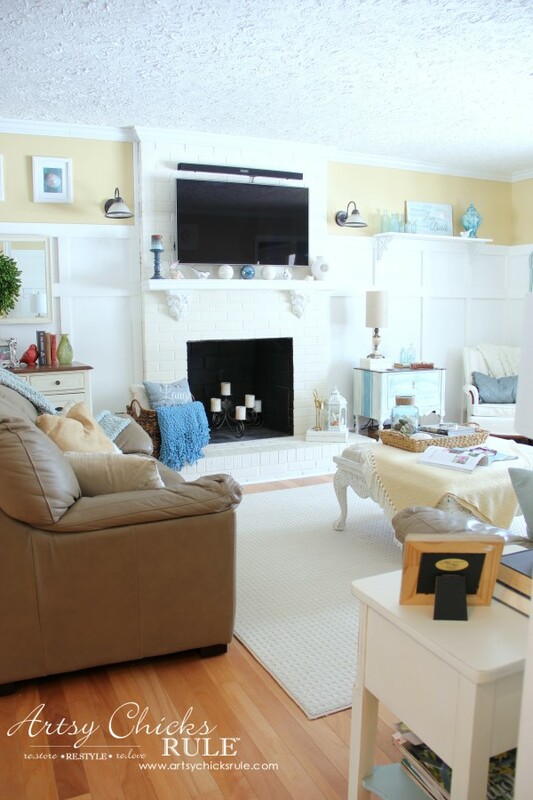 I love your family room ya’ll did a wonderful job. 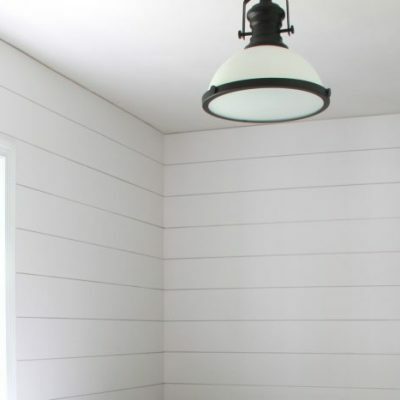 I love the board and batten it brightens the room so much. I’m trying to talk husband into doing it in my livingroom. Sometimes he’s a hard sell. I can’t say enough about how much this room looks wonderful. I will be waiting for the how to on the board and batten. Love the room great job. Mine can be too…but he has figured out by now I don’t give up too easy! He’s a pretty good sport with the ideas I come up with! I don’t think the old owners would recognize it! I am sitting here with my mouth wide open, in shock! I can’t believe the difference, literally NIGHT and DAY! Dark to light, drab to fab, just WOW! So beautiful, I adore everything! Excellent job, 11 years is a long time, but this room is sooooo worth the wait! And haha!! Yes it does…I’m sure he did with my son playing with him! 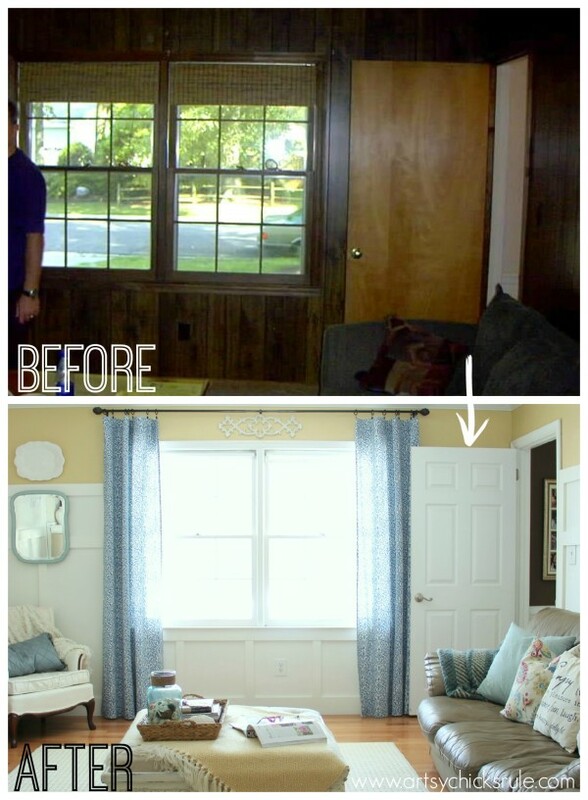 What a beautiful makeover! I love the beautiful soft colors. Very, very nice. Definetly worth the wait. Congrats on all your hard work. Wow Nancy, the transformation is like night and day! So bright and spacious looking now with all the white and removing that wall just opened up the space. The 11 years was worth the wait (I can relate to the wait). Hey Marie! Yes, it’s crazy how different it is now. 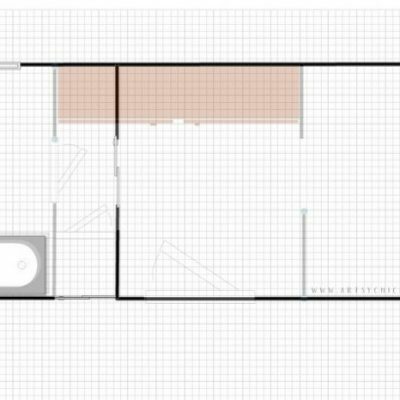 And opening up the walls (the other one is the one that attaches to the dining room) didn’t happen on the first “update”. We had to work our way up to those renovations!! lol But I’m SO glad we bit the bullet and just did it. It makes all the difference in the world. Thank you friend! :) I wouldn’t have known if I hadn’t lived it! ;) Thanks for the pin! Wow! What a difference! 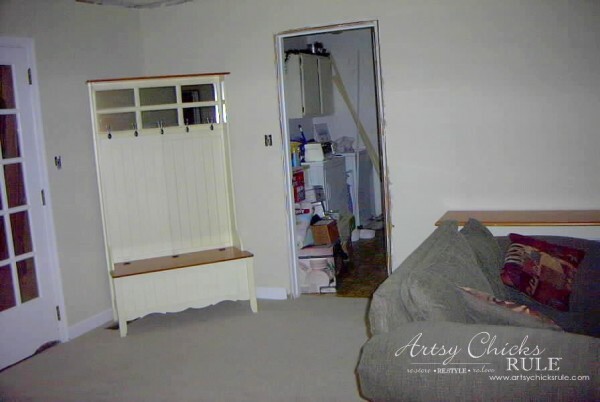 I’m impressed that you had the vision to see the potential in that room when you bought the house. 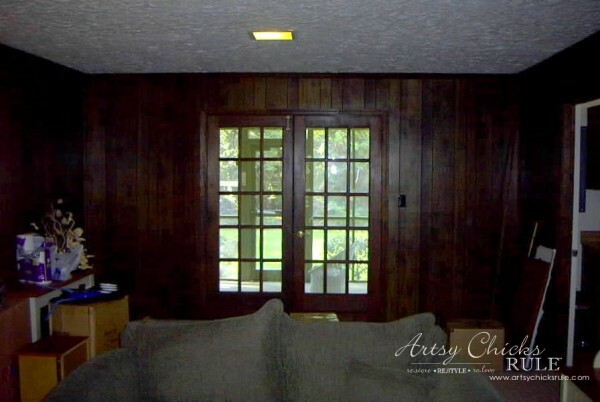 Eleven years ago, especially, I probably would have passed on a great house because of such a dark paneled room!. Haha!! :) Thank you Chris!! I love everything you did and all the colors. 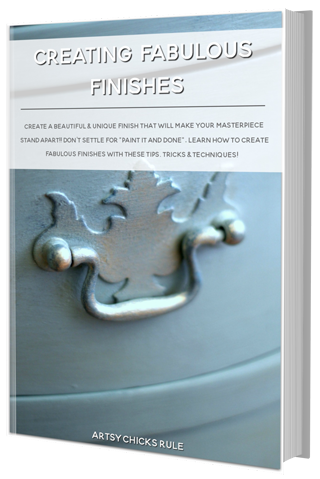 Or maybe even turn it so it is angled in the corner and then give it a white wash. But love all the rest. Lots of hard work for sure. 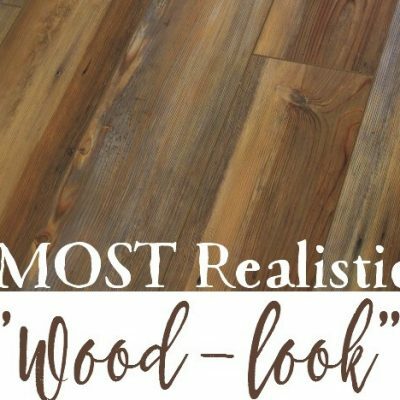 Hey, I think your old vinyl flooring and my old vinyl flooring are related! Seriously, thanks for the tour – so much brighter and bigger now, eh? 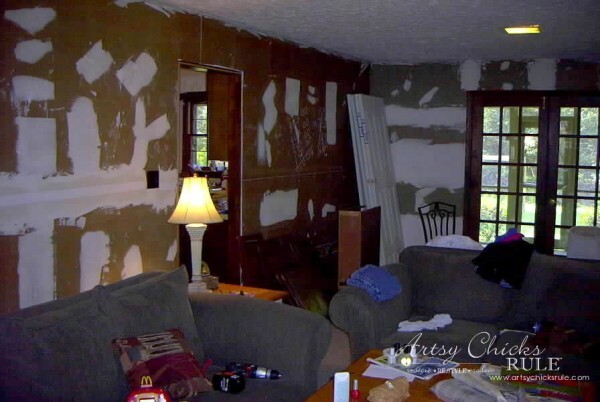 I’ve had my share of panelled walls; it’s a relief to get out from under that, isn’t it? Haha!! Maybe so!! ;) Oh yes, very much brighter and bigger now! 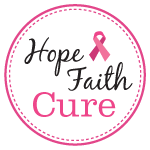 Definitely a relief…it’s a “happy” place now! Thanks a bunch! Wow! What an amazing transformation! I have a dark cave in my house too…. time to get busy and paint! Love all the descriptions… keep them coming! 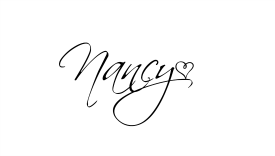 Absolutely beautiful Nancy. Thank you! OH yes, do!! It will change your world! :) You will love it!!! I really love how you transformed it! 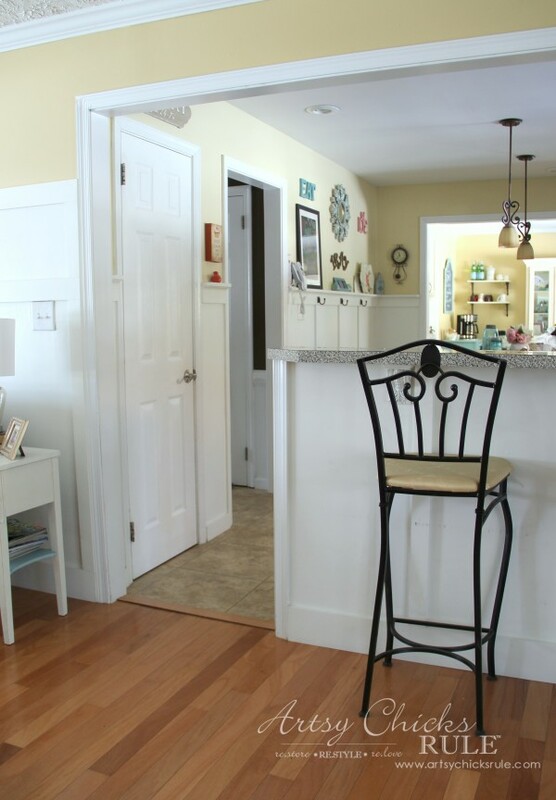 The board and batten looks great as well as the hardwood floors. Your French doors really are accented now. 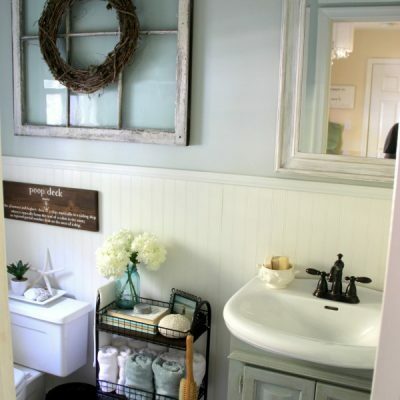 The shutters are perfect! I’m very interested in the placement of your flat screen TV and how you were able to put it on the brick wall over your fireplace. 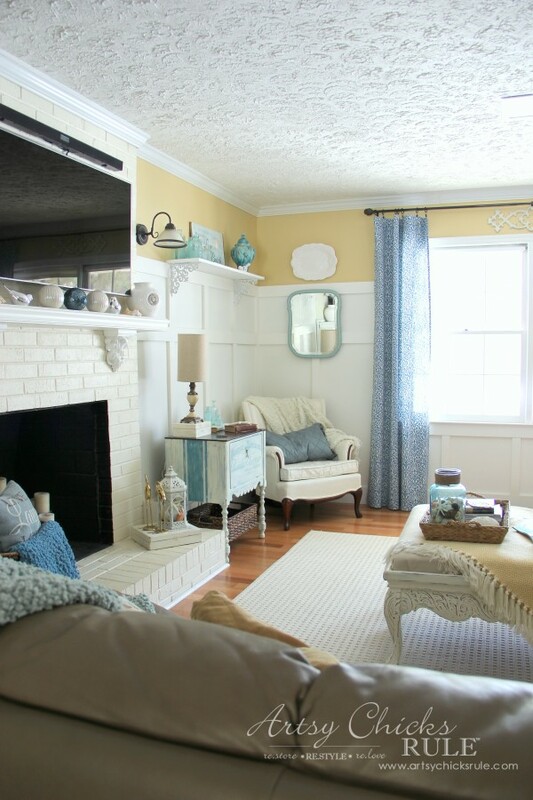 It all looks very light and airy with your colors now and your beautiful painted pieces! Love the open feeling you have created by opening up the wall. It all flows so beautifully! 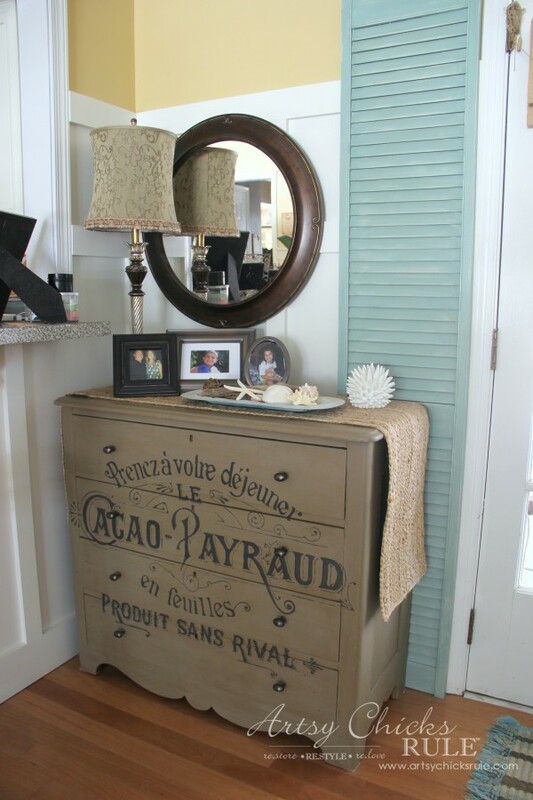 Loving your French country style that brings in the coastal! This is a room you’ll love spending time in now! 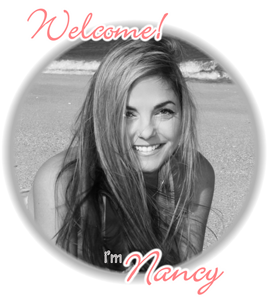 Thanks for sharing Nancy! Thank you so much! And you are right, a room that we love to spend time in, for sure! For the TV, we had an electrician (my cousin’s company actually –local if you need one! :) ) come in an wire for us. Then my husband mounted it to the brick with the bracket. The wires for the TV are well hidden. They did a good job of putting them down beside the fireplace. You cannot even tell. Especially with the board and batten. The transformation is amazing! 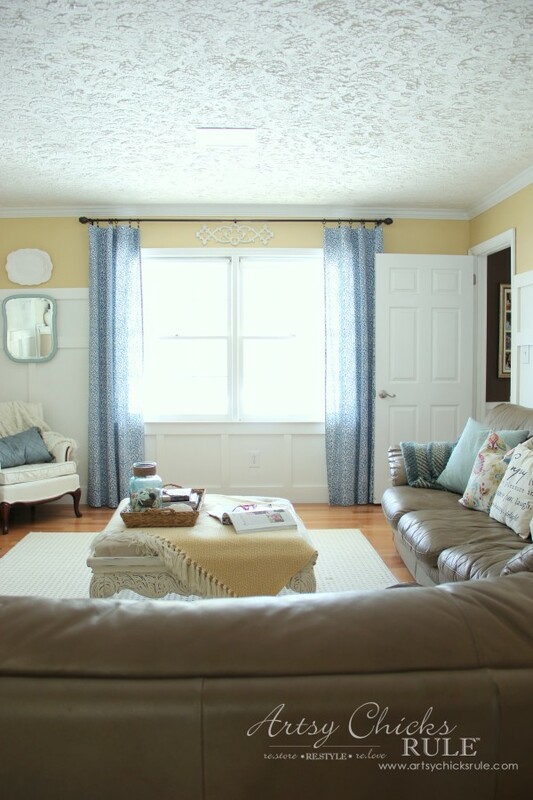 You did a beautiful job creating a light, airy and oh-so inviting room. Love it!!! Great job, but after I saw GI Joe I couldn’t think about anything ;) Love the light bright makeover, especially those shutters! I admit, it was tough! ;) Too funny on that lovely linoleum! 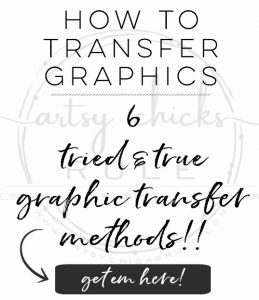 First time visiting your blog and I love it! 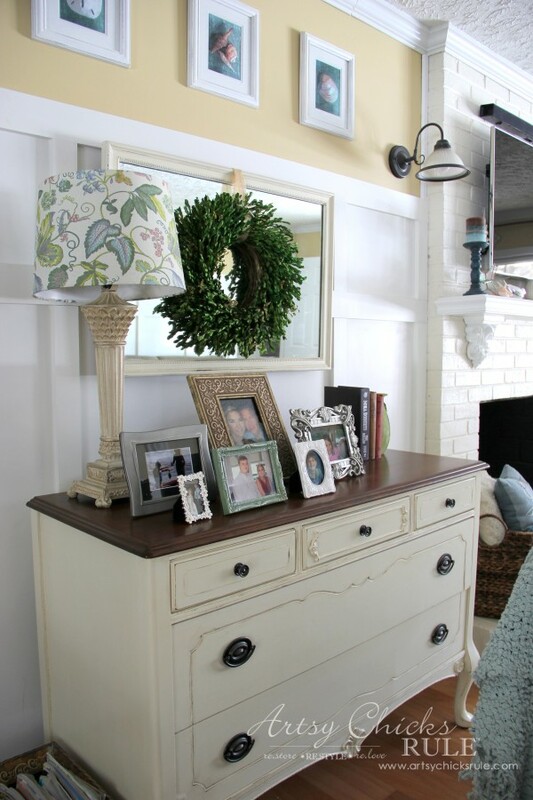 Your house is gorgeous and I LOVE that dresser above! Beautiful! I subscribed and will definitely be back alot more! Thank you! Thank you Heather! :) So nice!! I appreciate the sweet comments and so happy to have you along!! 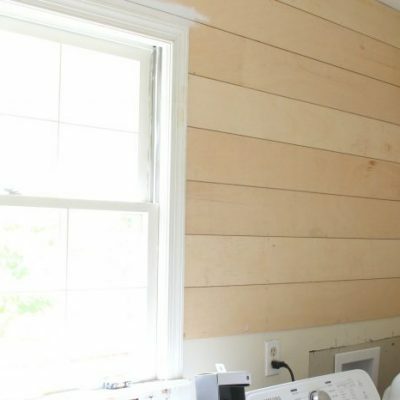 what color are on the wall and the board and batten? love it all. 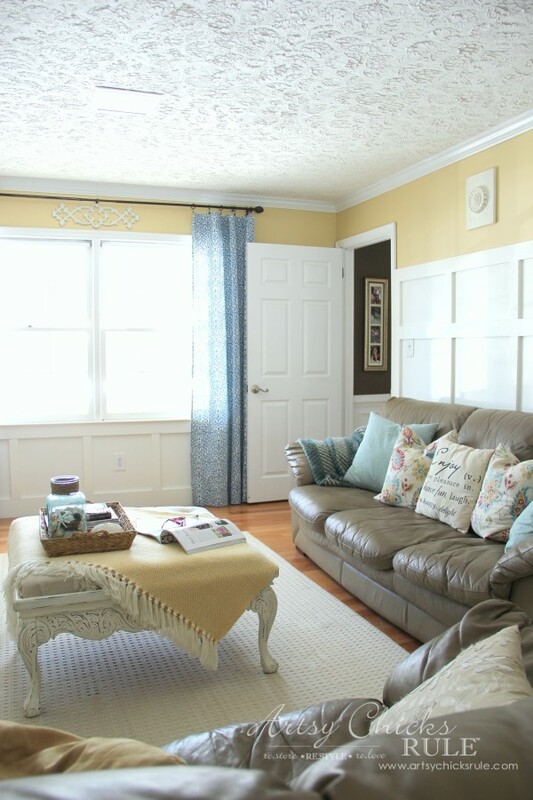 The color on the wall is called Blonde by Sherwin Williams, SW6128. 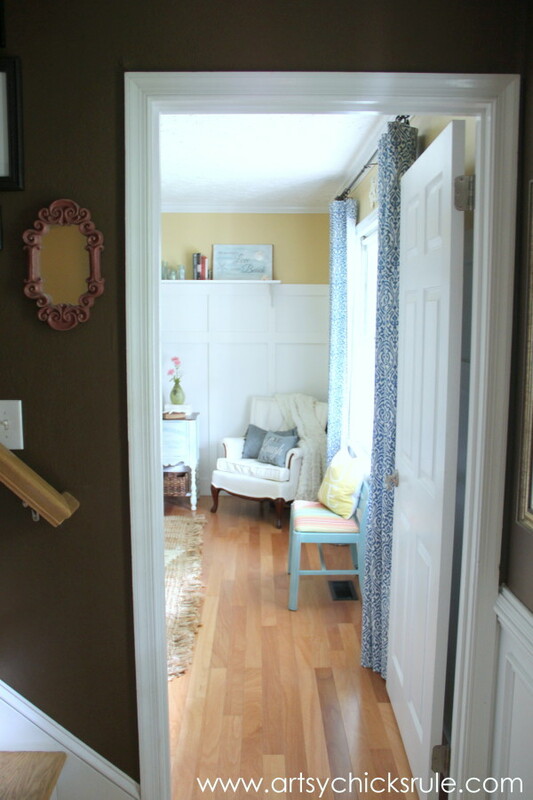 The color on the board and batten is white but I mixed in a bit of “Creamy” to soften it.